You will notice that we jumped from day 22 to day 27. 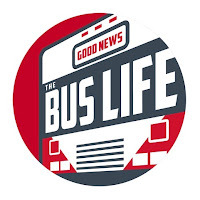 That is because we had been working so late on the bus every night that I did not feel like doing the blog because it was to late. Today we finished all the paneling on the passenger side. 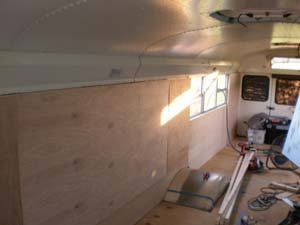 We decided to also go ahead and frame around, insulate and panel over the last window in the back on the passenger side. We also started installing furring strips on the drivers side. 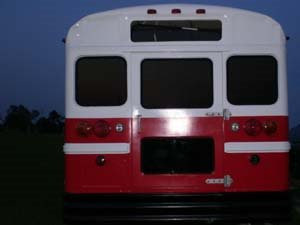 Now all the lights on the rear of the bus are reinstalled. 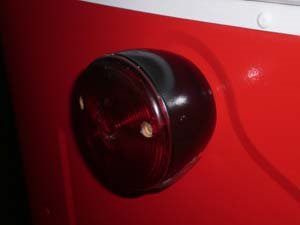 Here is a close up of my refurbished tail/brake light. Will not have much more done until Sunday.